Create & manage antenna designs, models and information. Efficient information management affects the bottom line of all companies, because it gives employees access to knowledge that has already been developed. Various information management systems exist (Sharepoint for documents , Itunes for music or Picasa for photos etc. ), but till now there has not been an information management system designed specifically for antenna engineers. This has resulted in critical information being stored in stacks of papers, on CD's/DVD's or physical prototypes somewhere in a dusty store room. This knowledge represents years of experience and work - but is not very accessible or sharable. Much information is never stored and only exists inside an engineer's head. 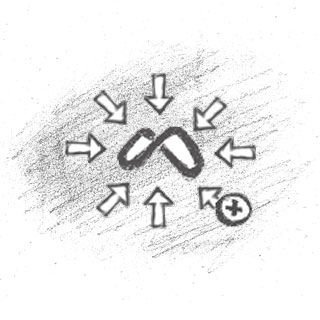 This means that a company can only retain its IP as long as that engineer is available. View the "add your own antenna" movie. If your YouTube is blocked you can download the video here. Antenna Magus includes a content management system that has specifically been constructed for capturing and working with antenna information. This content management system has been refined over the years through extensive use and can be accessed from within Antenna Magus by users. The content management approach has specifically been constructed for capturing and working with antenna information and refined over the years through extensive use. 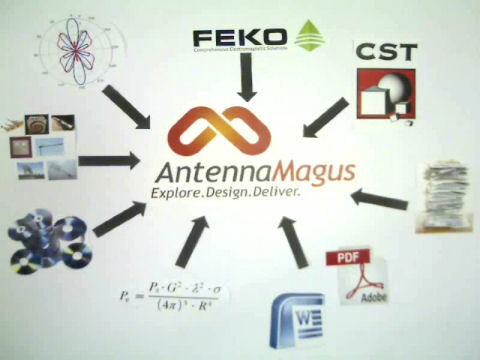 The Antenna Magus knowledge management system provides engineers with a framework to store information like documents, sketches, design algorithms, measured data and models in a logical, accessible way. This framework is consistent amongst all antennas in the database which makes it easy to find information and compare different antennas. As more knowledge of a specific antenna is gained the information can easily be extended and improved. Once the information has been captured, it can easily (and securely) be shared amongst colleagues or friends.